Despite changing guidelines, doctors still prescribe opioids for about 40% of patients who complain of back pain. 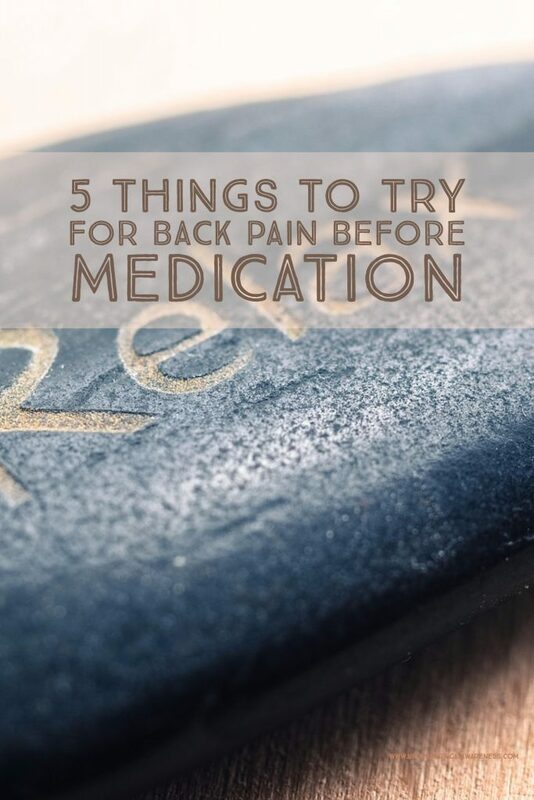 If you want to try and get rid of your back pain without popping pills, here are 5 things you can try first. Upper Cervical Chiropractic – You may not think the top bones of your neck as having anything to do with back pain, but the spine is all attached, and effects travel from the top down. We’ll take a closer look at this effective form of chiropractic care in just a moment. Exercise – Some back pain may feel worse at first with exercise, but stretching, walking, and other low-impact forms of exercise can help strengthen the back and improve posture, leading to less pain. Stress Management – Stress leads to tight muscles and can also fix your focus on the pain. Stress management techniques that help you to focus on the positive and feel more relaxed can reduce pain naturally. Cognitive Behavioral Therapy (CBT) – To go along with stress management, CBT provides a patient with the opportunity to talk out stressors and work on the social impact that pain can have on a person’s life. Progressive Relaxation – This is a method of gradually relieving the tension that has built up in each part of the body. If done before bedtime, this may be helpful in reducing pain and improving sleep. When the top bone of the neck is misaligned, the head is not balanced properly. As a result, changes take place throughout the spine to keep the 10 to 12-pound cranium straight. The shoulders and hips can become uneven, leading to pain throughout the back and even conditions like sciatica. The best way to relieve the pain and keep it from coming back is to fix the underlying cause – the misalignment that has set the chain reaction in motion. To learn more about how this gentle subspecialty of chiropractic can help with back pain, contact a practitioner near you.